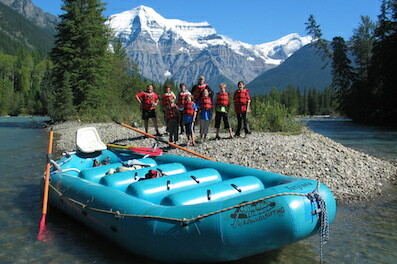 Mount Robson Whitewater is a family owned and operated company, founded in 1996. Located in full view of Mount Robson, approximately 90 km west of Jasper, this picturesque property is nestled along the shores of the Mighty Fraser River. Heart pumping adventure on the Mighty Fraser River, one of B.C.’s best whitewater runs! This class 3+ section of the longest river in British Columbia is fantastic for families, first timers, and experienced rafters alike. Hands down the most beautiful scenic float trip in the Valley! 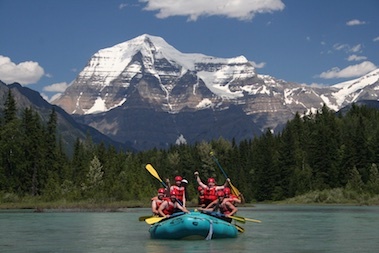 With Mount Robson, the tallest peak in the Canadian Rockies as your backdrop, your BCROA or IRF certified guide will navigate your boat down our exclusive gentle class 1 section. Learn more about our location, the rafts we use, the river we guide on and about our team. Our passionate and highly trained river guides are the perfect companions for your river rafting experience. Did you know you can camp with us for free at Robson Shadows Campground with the purchase of a rafting trip. Or, stay with us at Mount Robson Lodge.